The director of the Queens Museum was a supporter of the boycott-Israel movement and used her views to cancel a prestigious event last year by the Israeli government marking 70 years of the United Nations’ recognition of it as a state, according to a scathing report issued Wednesday by the museum’s board. The report, prepared by an independent investigation, also accused Laura Raicovich, the president and executive director of the museum, as well as her deputy, David Strauss, of lying to the board after they unilaterally cancelled the event. 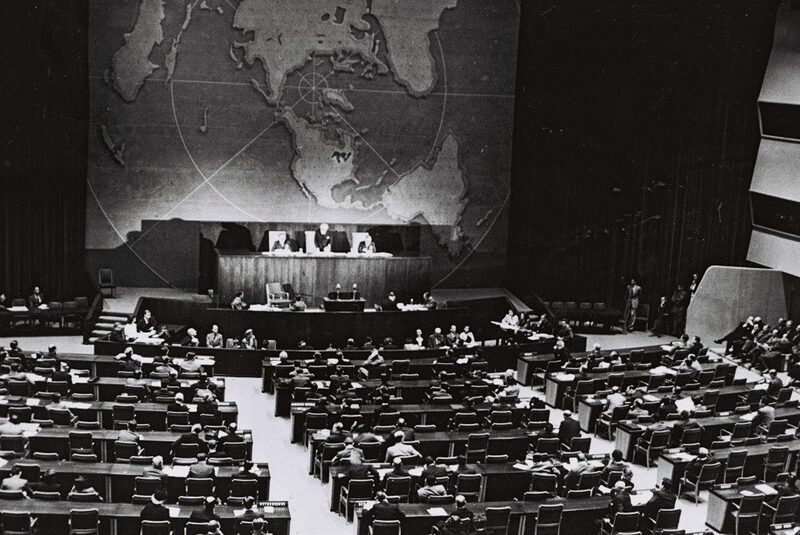 Israel’s U.N. office booked the museum months in advance since the city-owned property was the home of the United Nations General Assembly at the time of the historic Nov. 29, 1947, vote recognizing the state of Israel. The event ultimately took place at the museum in November and featured Vice President Mike Pence. He used the venue to make the first official announcement that President Donald Trump was “actively considering” moving the U.S. embassy to Yerushalayim. Trump made the historic move official the following month. Raicovich was also accused in the report of inappropriately using museum funds to pay for anti-Israel literature. She was the editor of “Assuming Boycott: Resistance, Agency and Cultural Production.” In its description of the book, the publisher states that “Boycott and divestment are essential tools for activists around the globe.” Included in Raicovich’s anthology is an article titled “Boycott, Divestment, Sanctions: Reasons to Support BDS,” which justifies and endorses the movement’s actions against Israel. Councilman Rory Lancman, a Democrat who represents the district where the museum is located, welcomed the report and said that it reveals a “breathtaking breach” of Raicovich’s responsibility. This article appeared in print on page 4 of the February 15th, 2018 edition of Hamodia.